On Saturday after dropping off my daughter at a friend’s I realized that I had no errands and could take a small break. So I headed onto the highway and travelled to Issaquah, WA. Okay, it’s just 10-minutes away but for some reason I never seem to make the trip. The reason? To visit Threadneedle Street. I’d first discovered via the intertubes while searching for suppliers of linen threads (you might remember this post). Well, I found a shop that carries all sorts of linen threads from two or three different supplies. Even some remnants of kinds that are no longer manufactured. And, it was literally, as I said, a 10-minute drive away. 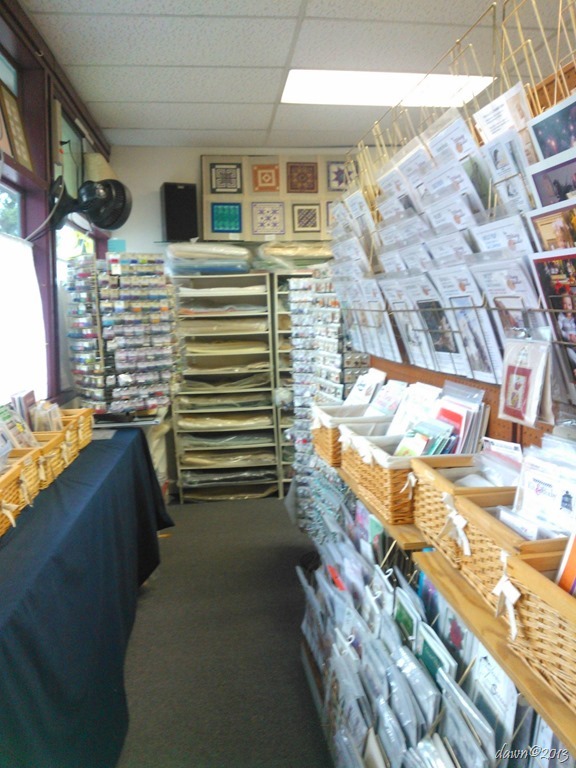 It’s hard to describe this teeny little shop, they carry a wee bit more than just linen thread. 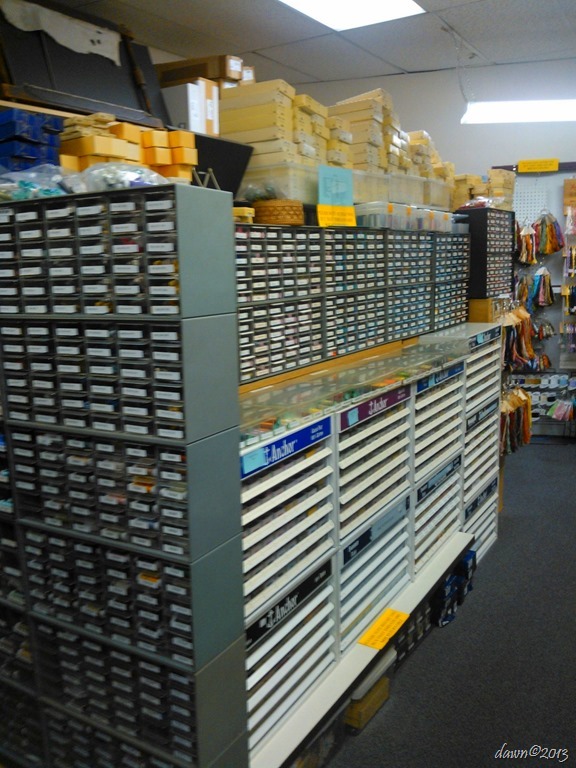 They carry absolutely everything related to hand stitching. And just hand stitching. The owner kindly let me take a few photos (and the owner is amazingly knowledgeable and friendly). This aisle is cross stitch patterns. 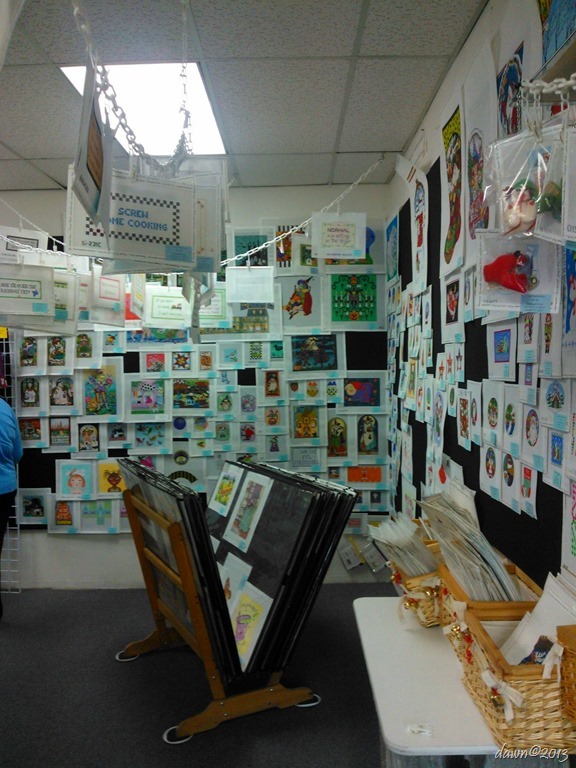 These walls are hand painted needlepoint canvases. Some of the hand-dyed wool threads. 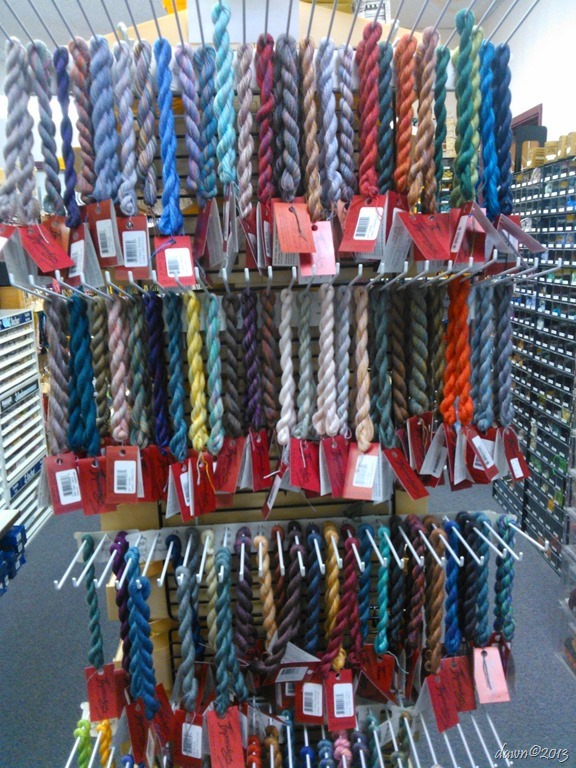 There were two aisles like this of embroidery threads. 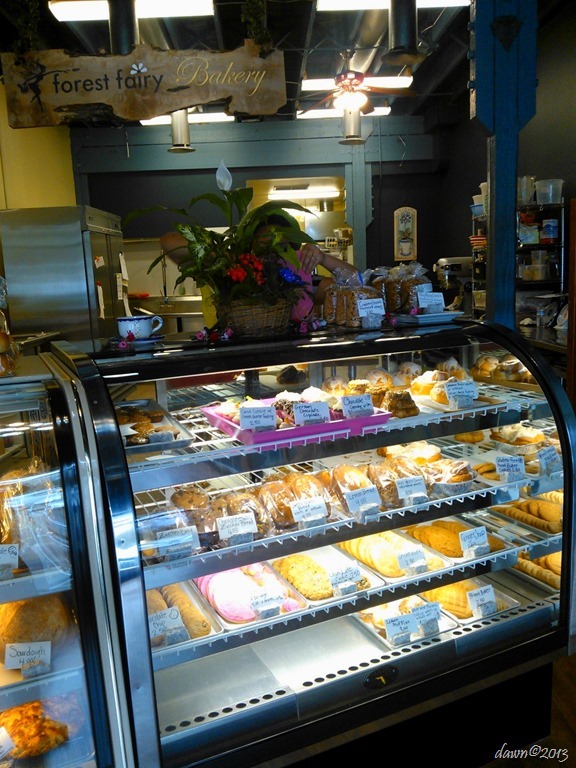 As luck would have it, right next door is a lovely little bakery, the Forest Fairy Bakery. They serve tea and espresso drinks and all manner of baked goods. I can highly recommend the sea salt caramel brownies and the sticky buns. This gave me a chance to survey my loot. 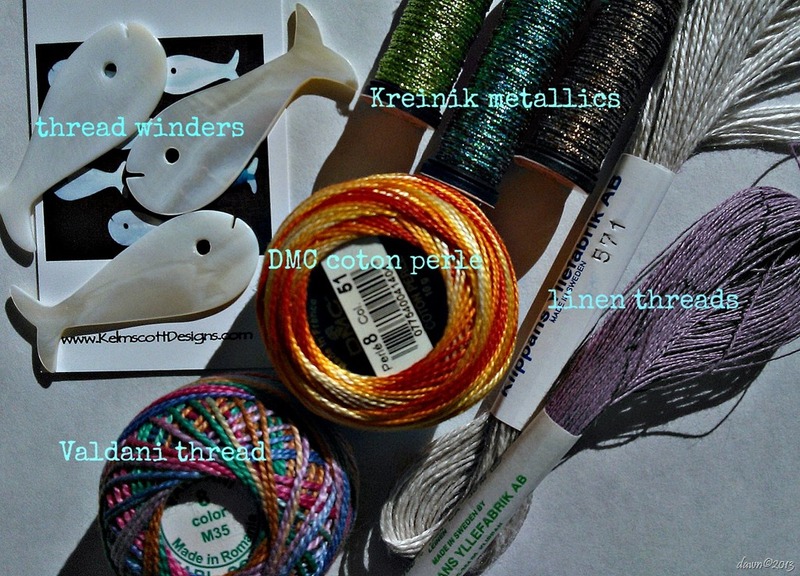 I bought a variety of threads as well as a few things like needles, thread winders for Plush Club and an awesome thimble that I can’t wait to try out. Yes, I used the words awesome and thimble in the same sentence because I am a thread nerd, as I have often pointed out. 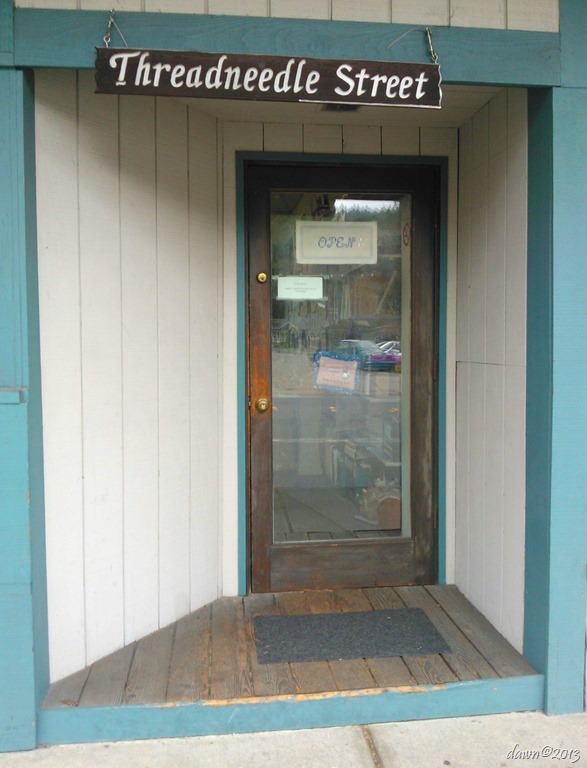 This is really a remarkable shop and a treasure right here in the PNW. This place would be perfect to take my Mom to the next time she’s in town. I don’t know if I can wait that long myself though! It’s worth a sneak peek so that it won’t be as overwhelming when you take your mom. And do leave time for the bakery! When you go, let me know what you think! !